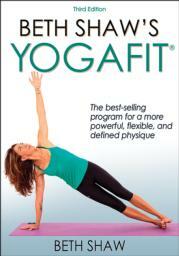 YogaFit applies modern exercise science to the ancient mind - body practice of yoga. Although yoga can have a profound impact on the physical, emotional, and spiritual health of students, improper sequencing and pacing creates opportunities for physical discomfort and injury. Triangle pose and extended triangle pose represent a strong mental and physical foundation formed by the two bottom points of the triangle. Because of the repetitive motion of the legs, running creates tightness in the hip flexors, hamstrings, and quads, often leading to low-back pain. This highly acclaimed book now includes more than 800 full-color photos and extensive coverage of warm-up and cool-down sequences, new poses incorporated into organized workouts, a chapter on the therapeutic and restorative qualities of yoga, and an expanded discussion on integrating meditation into daily life to foster a well-rounded yoga practice.